Hope things are going sooo good for you. We are doing good here at Sweet Nothings. I am a huge collector of MAGAZINES. I've given tons and tons away...mostly to doctor waiting rooms. what great decorating additions to our rooms and useful, too. WHO would have thought to tweak a CEREAL BOX....?? 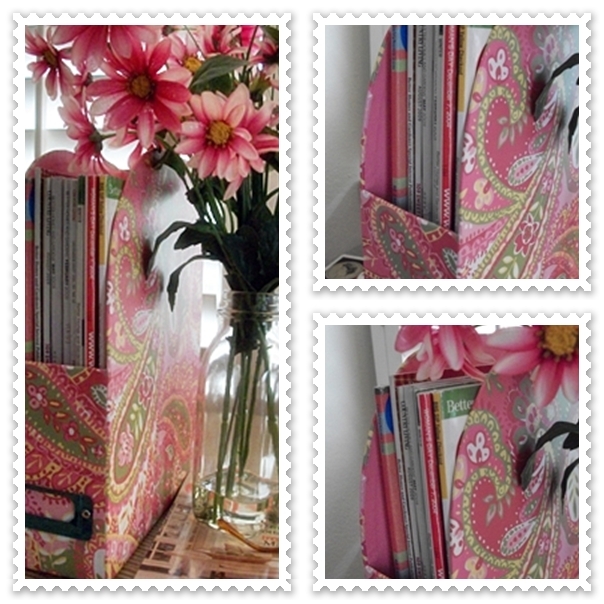 ...now, I do have this gorgeous PINK PAISLEY magazine holder that I love to pieces. and I found this on the clearance table last year at ROSS Dept. Store. these thrift stores are AMAZING. ...have you noticed it is SOOO about the LITTLE THINGS....? coveted personality for our rooms. Yep, pretty sure I have a problem deleting some of my photos. so, when several photos of the same subject comes out pretty good....I wanna use them all. Your Gonna Love It Tues. 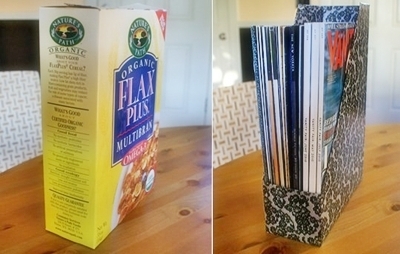 I have made magazine holders from cereal boxes before. I use them in my classroom for magazines and papers to be returned. Fun and basically free. Those are super cute! And to think that I've spent good money on ugly ones when I could have made cute ones. Now I know. The patterns of the magazine holders are gorgeous. I bought a holder (book shelf like) to keep copies of the hundreds of magazines that my articles are published in, but your holders are more cute and love the price of the 2 thrift store finds. Magazine holders are so great for keeping all those issues. I have waay too many magazines in my house. Love the patterns of those holders. I keep meaning to do this, I have Martha Stewart Magazines from, like, 15 years ago! Love those! They make it okay to keep magazines! I used to use Tide detergent boxes for magazine holders. Covered them in contact paper. I even did this when I homeschooled Amber and Ben for my teacher books! 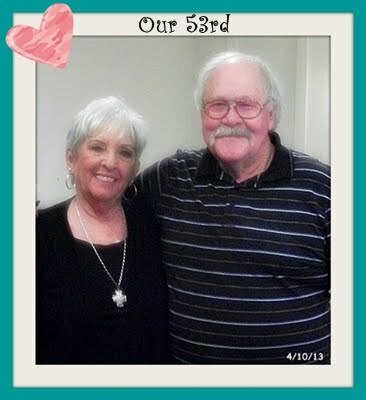 Love ALL your photos! You can NEVER have TOO many!! Hi BJ! Your blog looks beautiful. Love the header and stripes. You got some great magazine holders there! I usually donate my magazines to the local library. They have a table when you walk in the door to place them and then anyone can pick them up and take them home for free. I love all the cool/neat ideas you find!!! 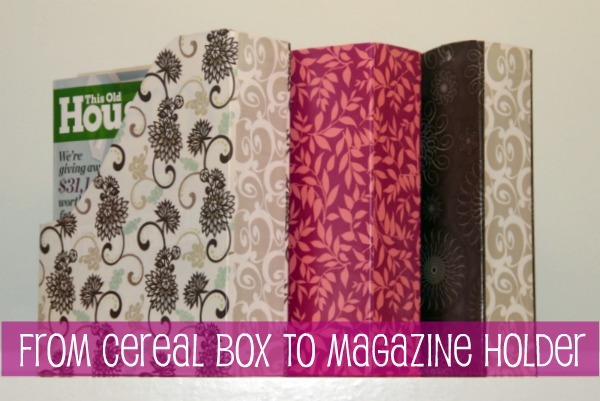 Cereal boxes, "prettied-up," for storing magazines! You keep showing us all the pics you want to show us!!!!!!!!! 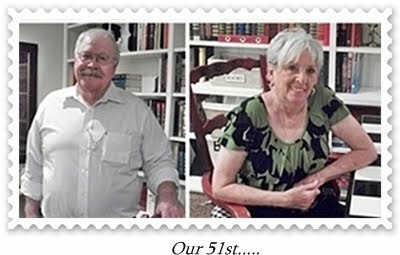 Your Dear Readers love your blog. We love your blog, because we love how you DO your blog. So keep right on, *doing* your blog, as you love. I love these, BJ! 42 cents is an amazing deal, you lucky duck. I bet I could make something cute out of cereal boxes. What a great idea! THanks for the link to the tutorial. I could use some cute magazine holders. :D I'll try to make some later this summer. Thanks for linking up. My post is live now! bj ... I think you got your 42¢ worth. 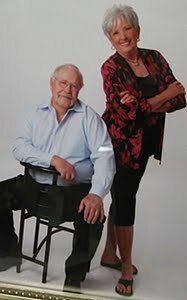 Love your pictures, and never too many. 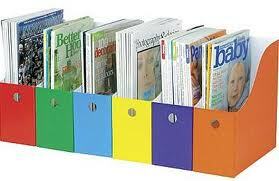 Great idea using the cereal boxes for magazine holders bj. Love your pink paisley and wow what a find for forty-two cents. 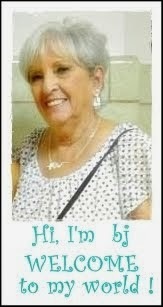 Love you photos, you can’t have, you posts are always beautiful. What will they think of next. Some people got all the brains. I love seeing lots of photos, so you can't ever have too many, IMO. Love the cute mag holders, that is a very clever idea! I did that years ago but then got my hands on some plastic ones and the great cereal box hoarding sort of stopped. You make me want to start it all over again. Those really are pretty, and I'm very nuts about the pink paisley. 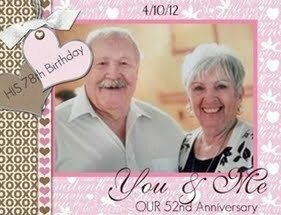 I've never made my own..but it is certainly a cute idea. I just do crafts anymore..I paint..you know, spray paint.but that's about it. I have bought some adorable ones..which I keep on my desk and other places. WHAT a deal on the ones you got for 42 cents. :) GOOD for you, bj. You have 200 drafts? I was thinking that I was doing great with three or four ideas. Yes, it really is all about the little things that make life more beautiful and are useful. What a clever idea. You, my dear, take great photos. Now that is a brilliant idea. Love it and will have to try. You are one very clever girl! Your magazine holders are just too cute and super thrifty! 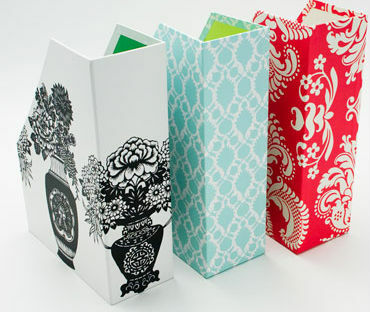 I decorated my old ugly plastic magazine boxes with tissues paper and modge podge. Still use them today. I better start saving those cereal boxes! I have shelves filled with magazines. It breaks my heart if any of them get ruined! So to save shelf space for my books here I am visiting you and then your friend with the tutorial! Thank you bj you are just a doll!